Actress Dinah Sheridan moved to Welwyn Garden City from Broadstairs when she was 14. Her parents Lisa & James set up Studio Lisa at 14 Parkway from where they carried out a successful photographic business, becoming well-known for their Royal photography. Dinah had a film career that started in the late 1930s and continued into the 1980’s with the popular sit com “Don’t Wait Up”. Among her most popular roles were in the 1958 film “Genevieve” and “The Railway Children” in 1970. Dinah attended Sherrards Wood School and later trained at the Italia Conti School. During the early war years she returned to WGC, becoming an ambulance driver and secretary to the Town Surveyor and Sanitary Inspector. This page was added on 13/02/2012. I have some family portraits of relations as babies that were taken by Studio Lisa passed to me after the death of my parents. Good photos too. The following letter was published in the Welwyn Times on 9 January 2013. “Farewell to Dinah Sheridan”. 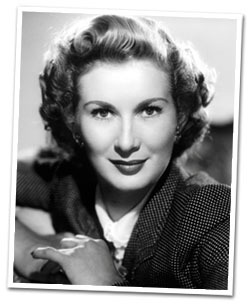 Sir – Actress and film star, Dinah Sheridan, sadly passed away in December 2012 at her home in Northwood, aged 82. She was most certainly a beautiful and talented daughter of this lovely town. She attended Sherrardswood School (although after a relatively short time the headmast suggested that her frequent absences to do stage work would be better catered for at a stage school) and then Dinah went to the famous Italia Conti stage school in London. Later, she did what all actresses used to do to ensure they always earned their living – took a secretarial course at Grace Ward’s Business School in Parkway. She was the daughter of Jimmy and Lisa Sheridan, whose high class photographic business known as Studio Lisa, had been established in the town in the 1930’s at No. 14 Parkway (the showhouse at the time they bought it). The Sheridan’s then became photographers to the Royal Family, frequently attending at the Royal Family’s wartime home Royal Lodge, in Windsor Great Park, to take some of the first formal pictures of our royal family to be in the public domain. Jill, Dinah’s sister, was a talented seamstress, who worked at WGC’s prestigious fashion house, Cresta Silks. For a period she lived with her children, Jeremy (one time chairman of the Conservative Party and now Sir Jeremy Hanley) and Jenny Hanley (who was an actress and TV presenter for children’s television) in a house in Parkway. Dinah became a film celebrity due to her lead roles in such films as “Genevieve”, “The Railway Children” and “Where No Vultures Fly”, and I believe was being made offers from Hollywood at one time. She appeared on British TV screens in a lead role in the popular series “Don’t Wait Up”, as well as “Dr Who” and “Jonathan Creek”. Dinah never ignored her roots in WGC, kept in touch with her dear friends here, and was happy in her later years to present awards at the Drama Festival at Campus West, and to give a scintillating talk to one of WGC’s longest established women’s clubs, The Women’s Luncheon Club. Dinah was beautiful, mischievous, funny and affectionate. Her friends here will miss her cheery visits and letters and she will be remembered with great affection. I understand there will be a memorial service in the spring at the actors’ church in Covent Garden. 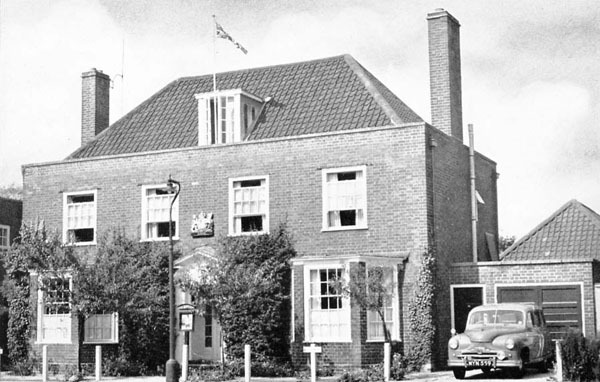 Althea Richardson, Bridge Court, Welwyn Garden City. Dinah Sheridan died on 25 November 2012 in Northwood, Middlesex. Did you work for Studio Lisa?